Ever wondered what life’s all about? Then Alpha is for you. It explores such questions as; what is the point of life? What happens when we die? Is forgiveness possible? What relevance does Jesus have for our lives today? Over 2 million people in the UK and 22.5 million worldwide have now attended an Alpha course, an opportunity to explore the meaning of life, running in tens of thousands of churches of all denominations across the world. Alpha is an opportunity for anyone to explore the Christian faith in a relaxed setting over ten thought-provoking weekly sessions. Each session starts with a meal followed by a presentation and discussion groups. Alpha is completely free, and also free of expectations – you won’t be expected to pray, read out loud or make any contribution you’re not comfortable with. You can ask any question you might have as the whole idea is for you to discover the answers to your questions that Jesus and the Christian faith have to offer. 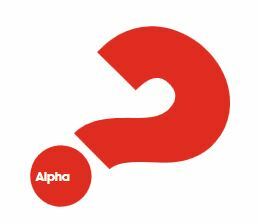 The next Alpha course starts on Monday 13th May 2019.